Are you looking for good link diversity service to cover all your long tail keywords? Are you looking for 100% manual link building packages from trusted service provider? This service is planned after taking the suggestion from different clients and to provide long term results. Why Should You Pick this Service? This Gig is more about Quality rather than Quantity. 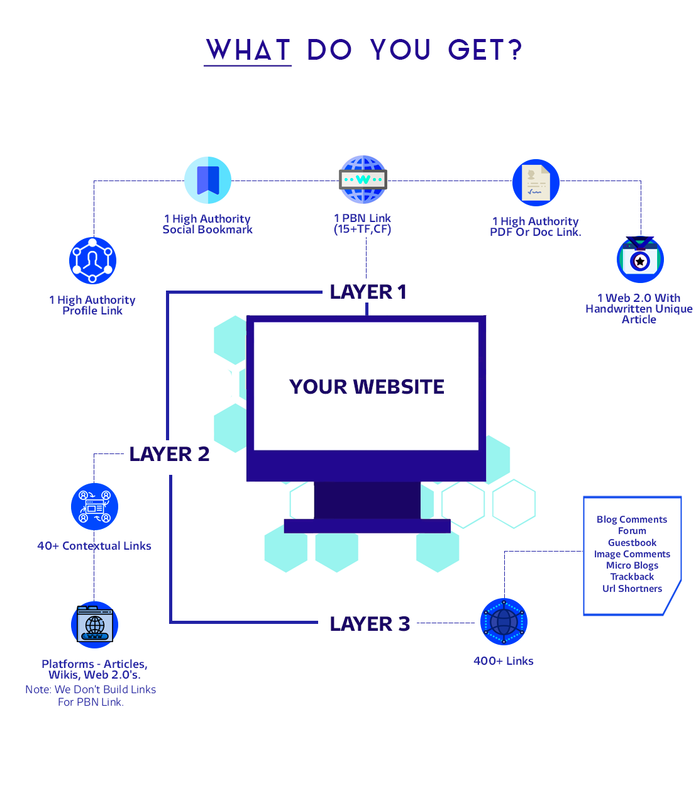 The Layer 1 and Layer 2 are Very High Quality Manual Links, Which helps to improve the search engine results. The layer 3 gives the real boost to the Quality Links and make sure you get real movements for your keywords. We are in the SEO Business from a decade. I have served to many a clients and also make sure that we reach your expectations. The Services are designed after taking input from our valuable clients as well from market experts. We are more into customer satisfaction driven process.